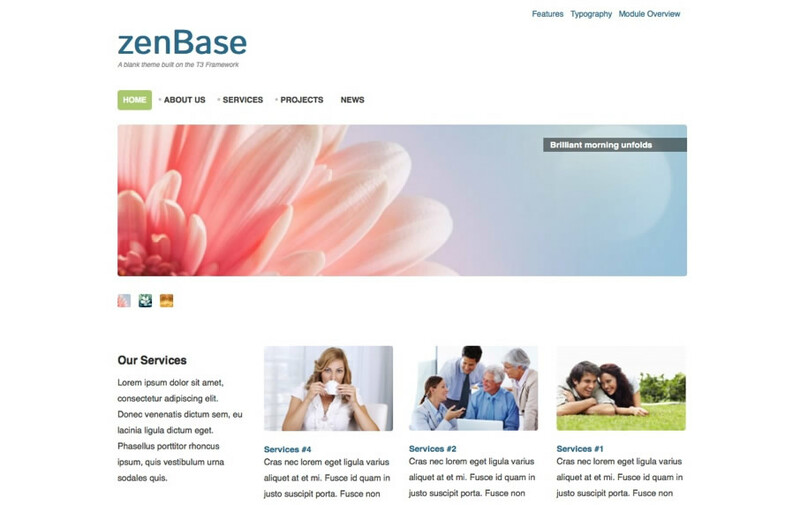 Zenbase is a Joomla 3 skeleton template designed to be the ideal starting point for working with Joomla 3 and the T3 template framework. This template is optimised for use with our responsive standalone templates for K2. Zenkit features responsive slideshows, carousel, filterable masonry grid, accordion, magazine and blog layouts. Ignite features a flexible feature rich mega menu which allows you to add images, icons, multi-columns and modules to your standard Joomla menu. An inutitive layout interface is available which gives you control control of modules widths across multiple screen sizes. Ignite comes in a unified Joomla 2.5 and Joomla 3+ template package, separate Joomla 2.5 and Joomla 3+ quickstart packages. The T3 template framework is a lightweight and yet powerful template framework for Joomla. It's built on bootstrap and offers powerful for tools for template creation and site management. The Ignite theme allows you to easily add any of the fonts available on the Google web font directory. This template is all ready to take advantage of Joomla's powerful mult-language functionality. Use our JB Type plugin to add short code like functionality to your Joomla website.